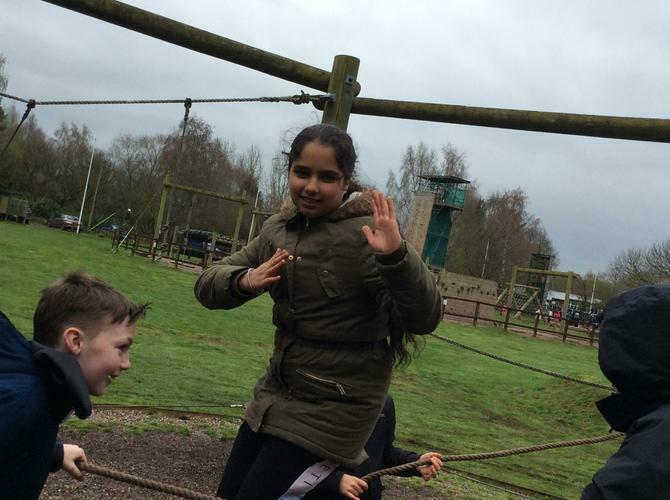 We hope that you're not missing us too much, because we're having so much fun that we may not come back!!! 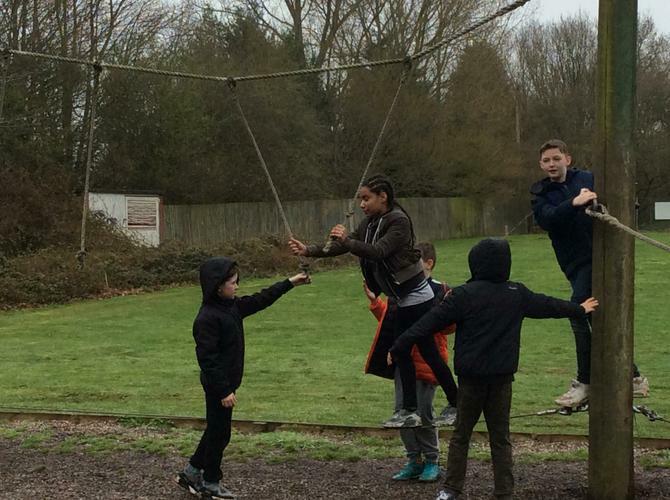 After a brilliant first night, where (believe it or not...) we were all in bed, asleep, just after lights out, we were up, showered and eating a full English breakfast and cereal, by 08:15. 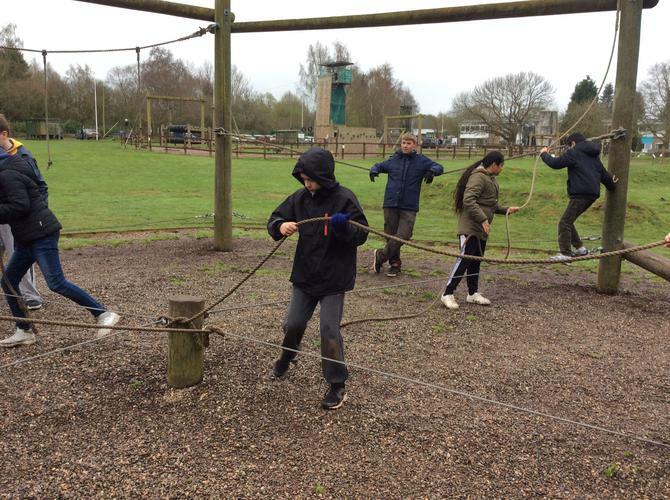 This was just what we needed for the fun-filled day ahead. 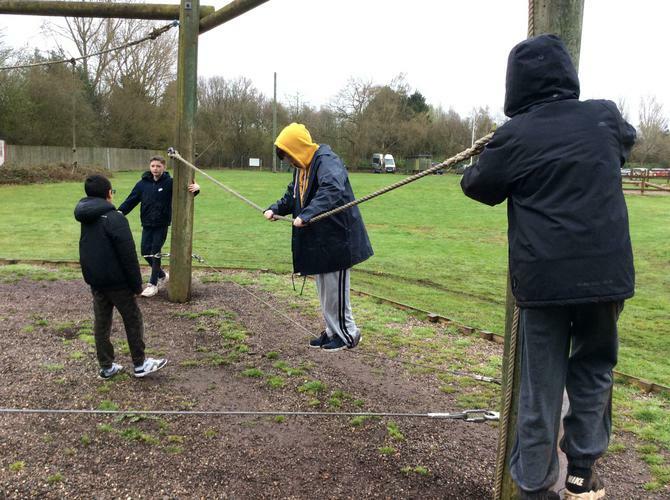 Our first full day has consisted of six different activities, with lunch (BBQ chicken wraps, sausage/veggie rolls, salad bar, jacket potatoes) sandwiched in between. 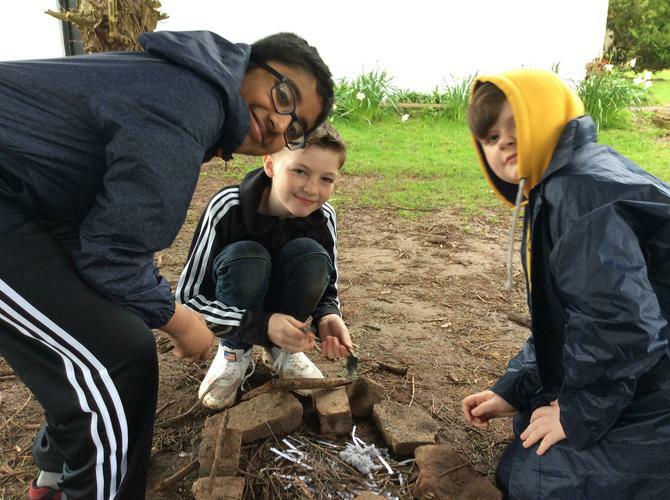 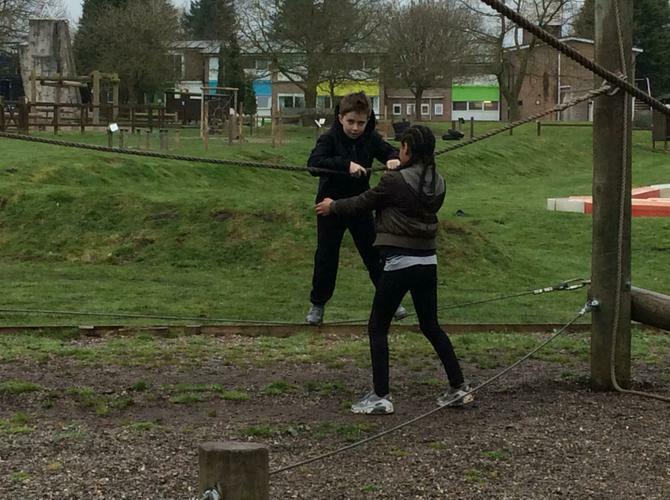 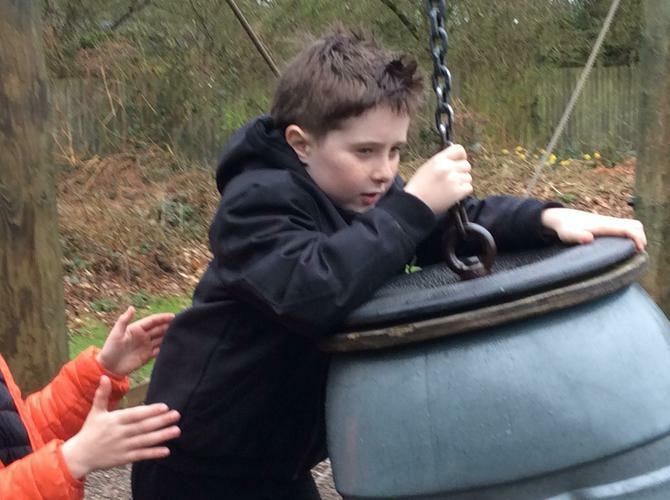 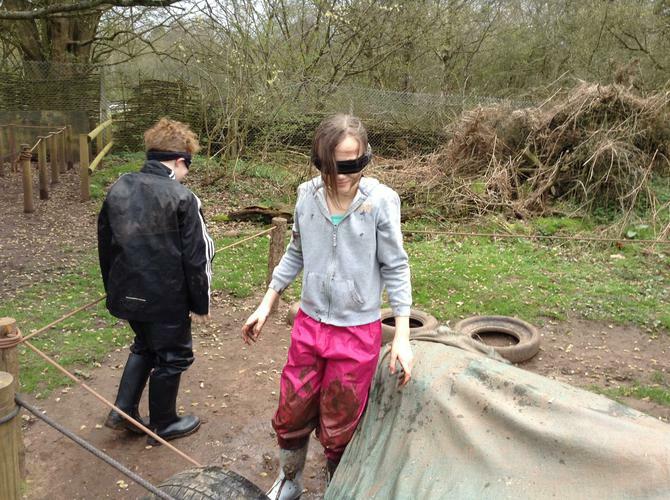 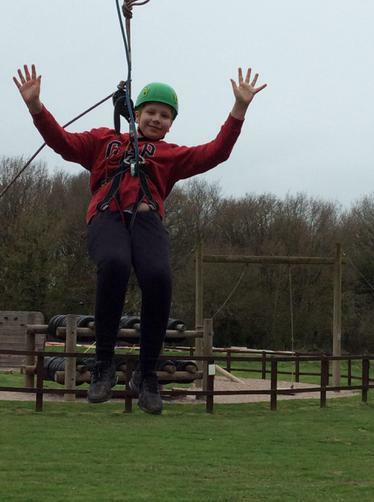 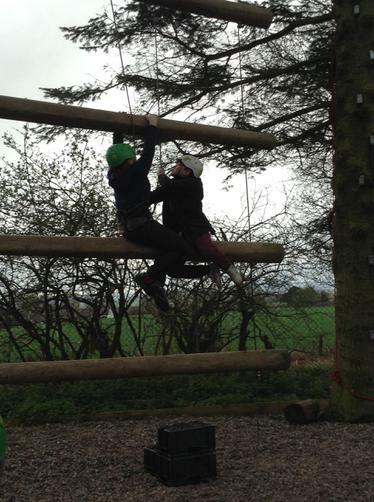 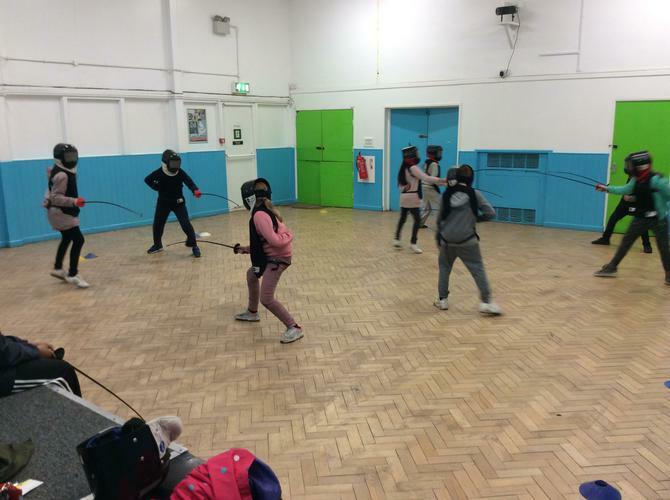 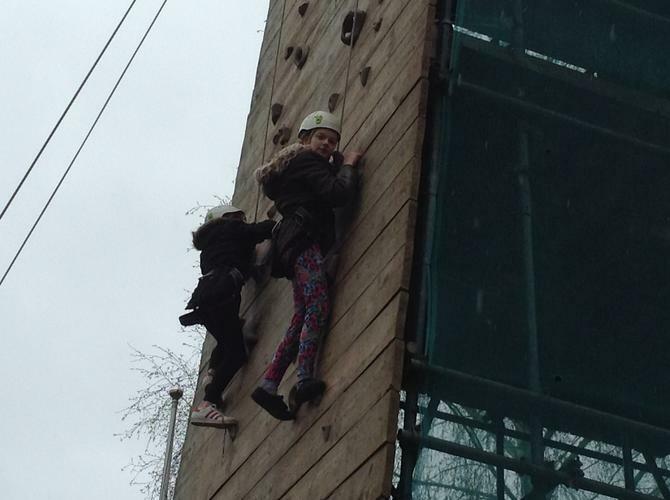 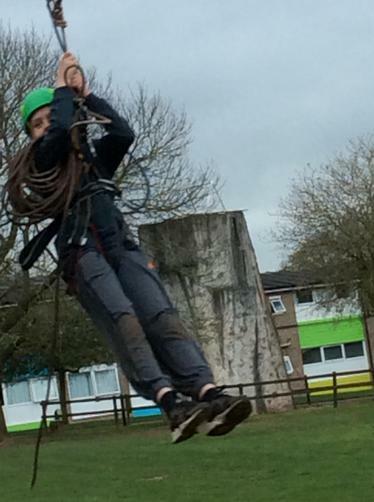 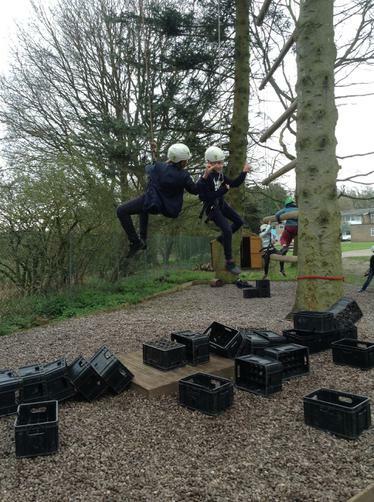 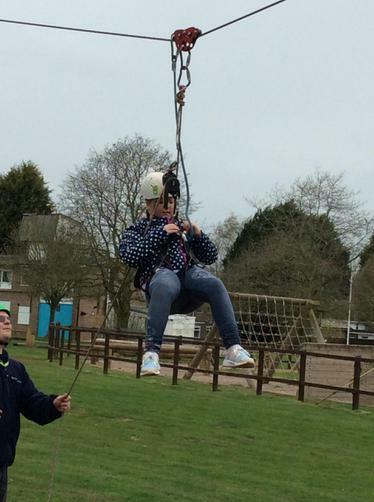 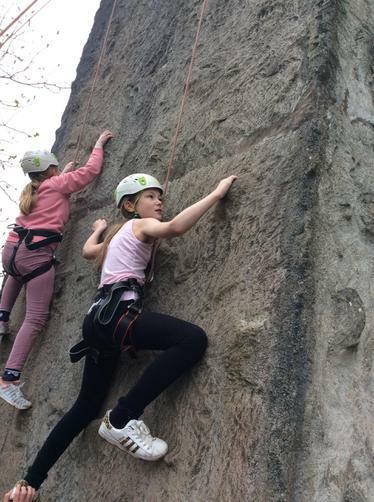 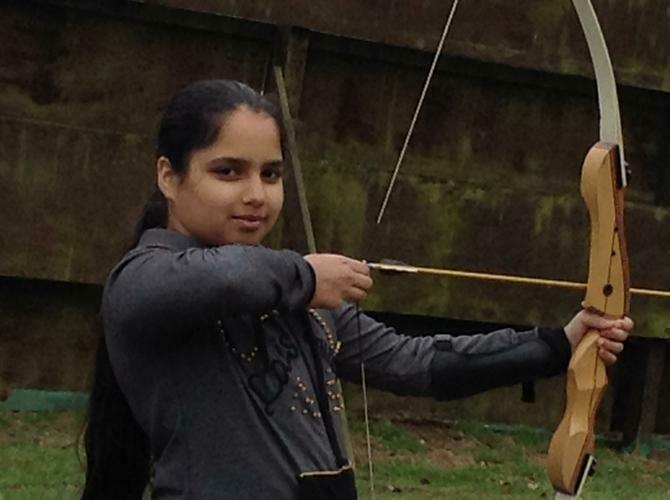 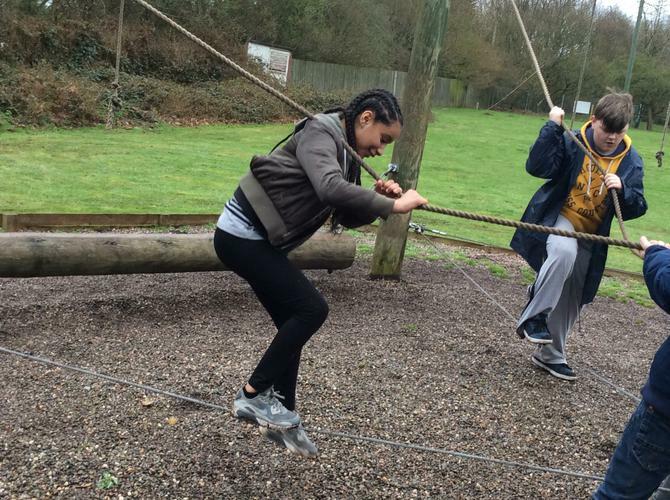 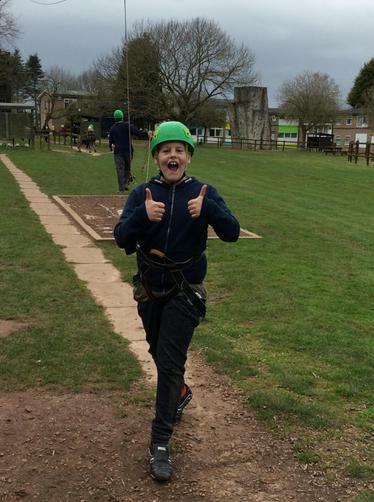 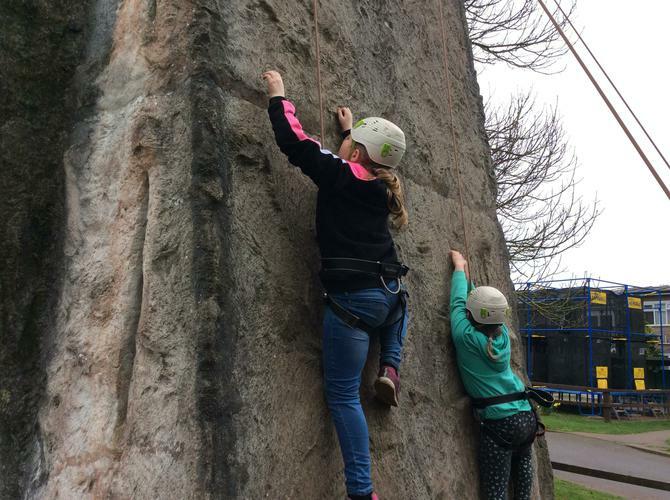 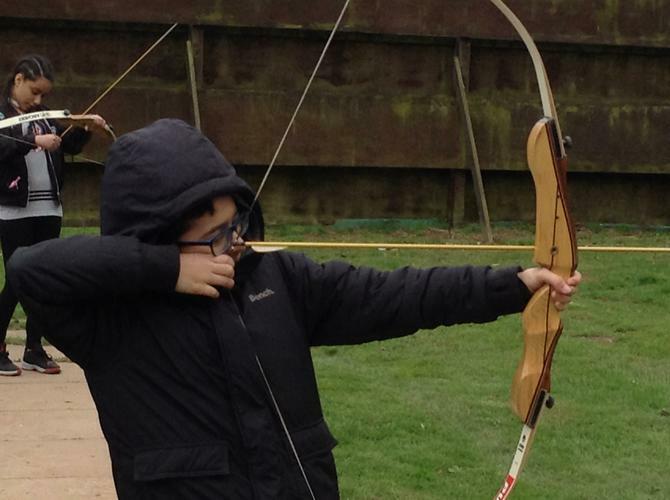 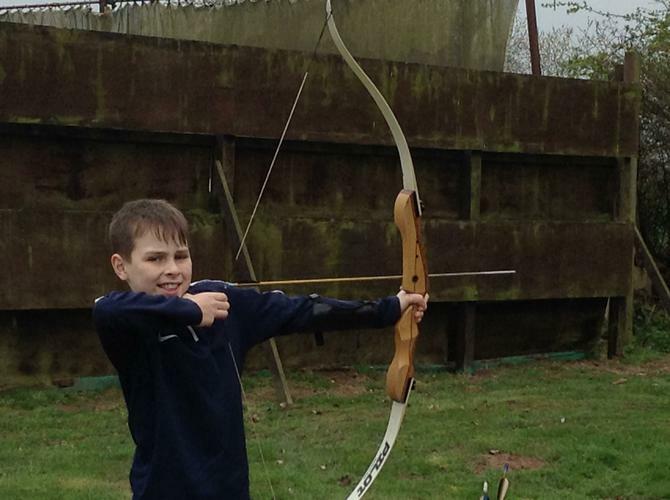 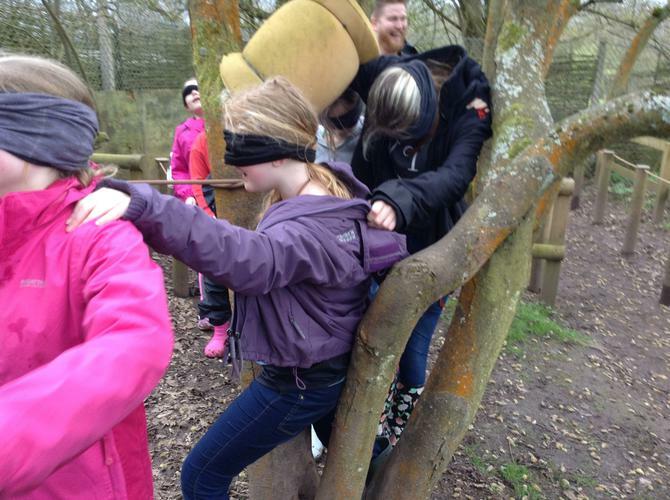 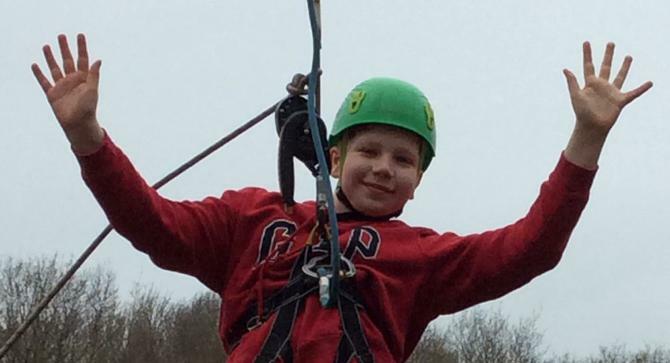 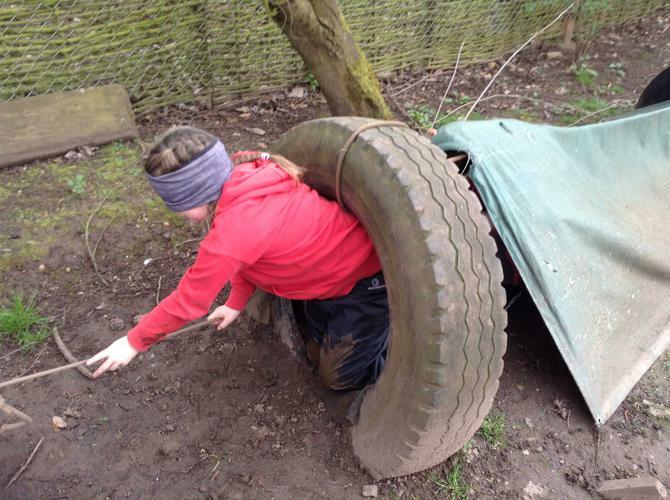 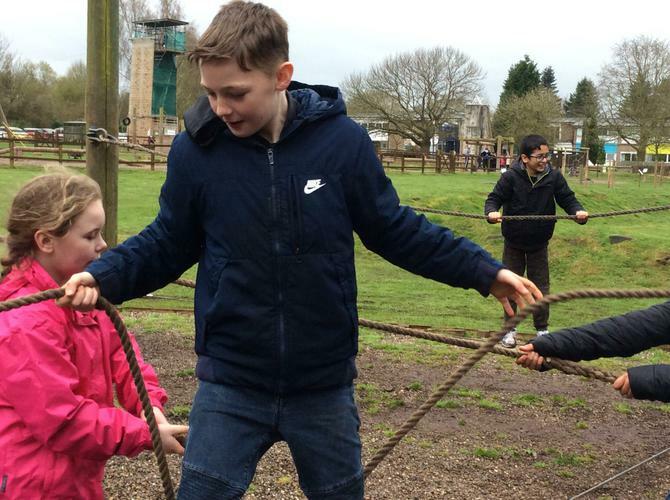 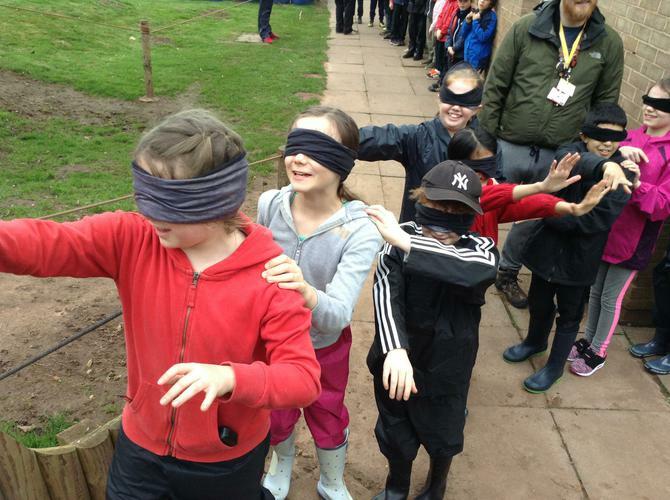 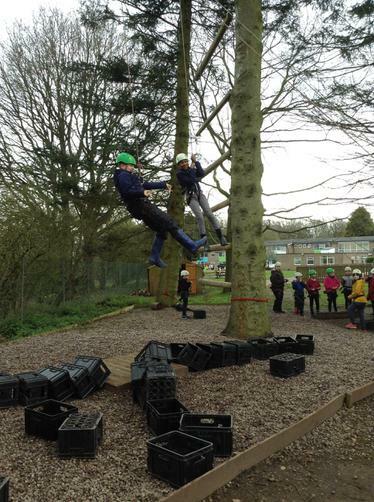 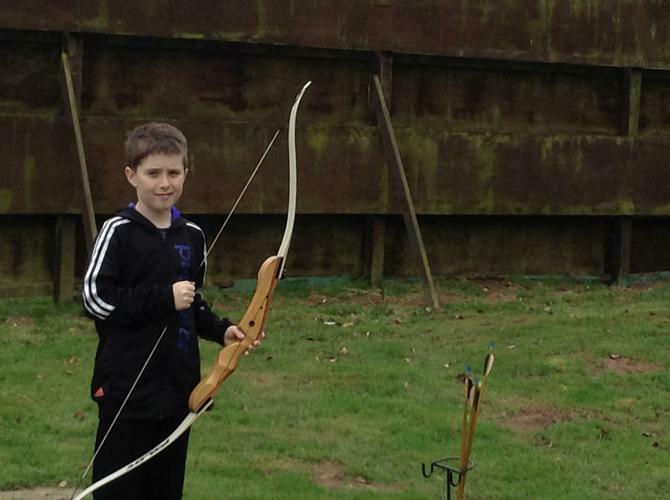 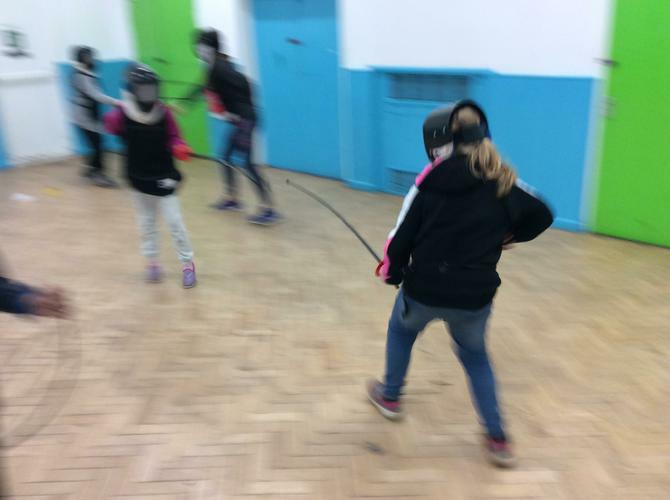 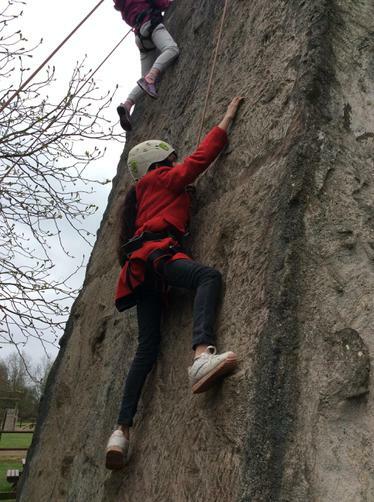 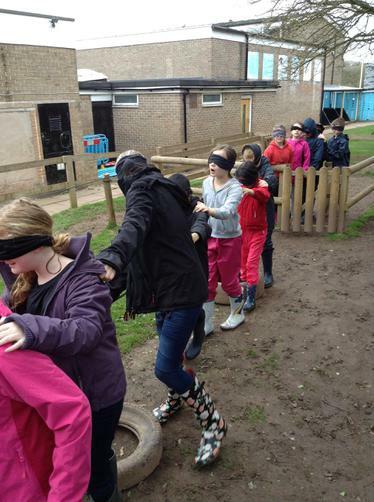 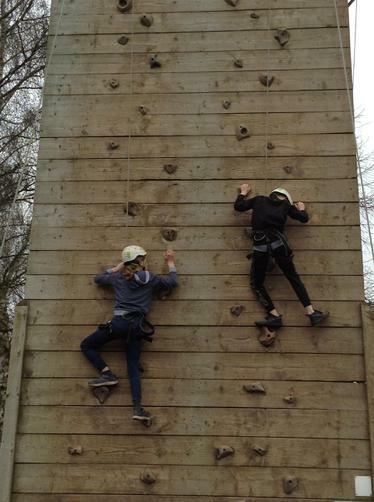 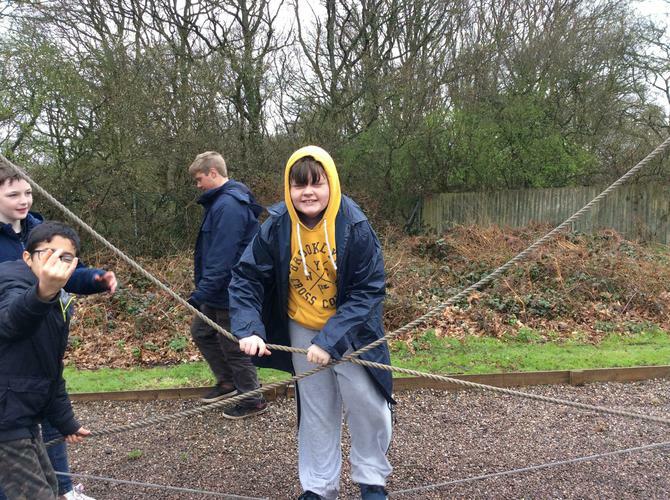 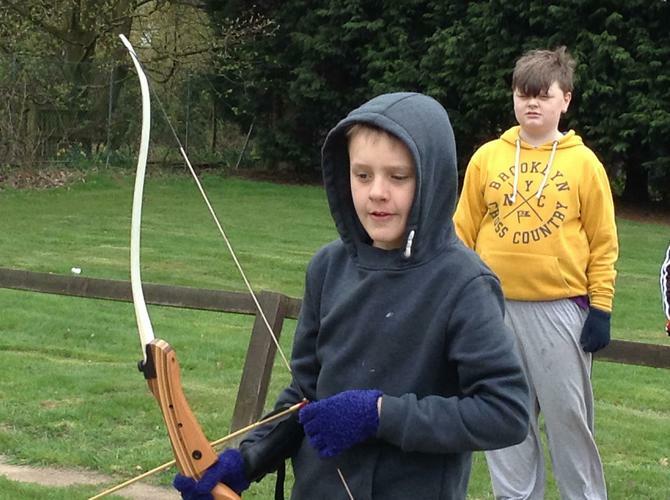 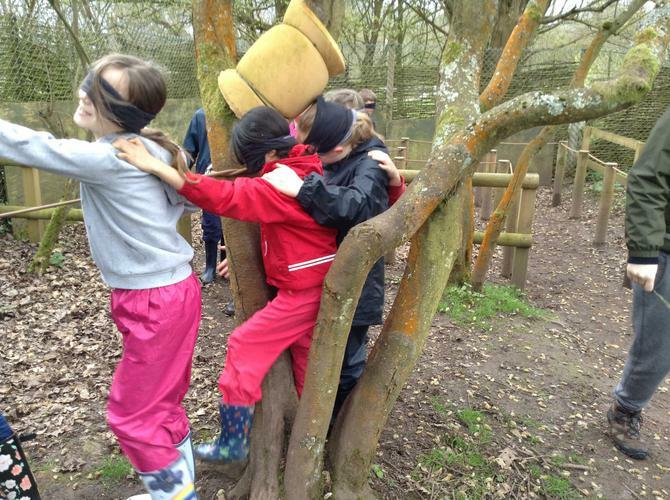 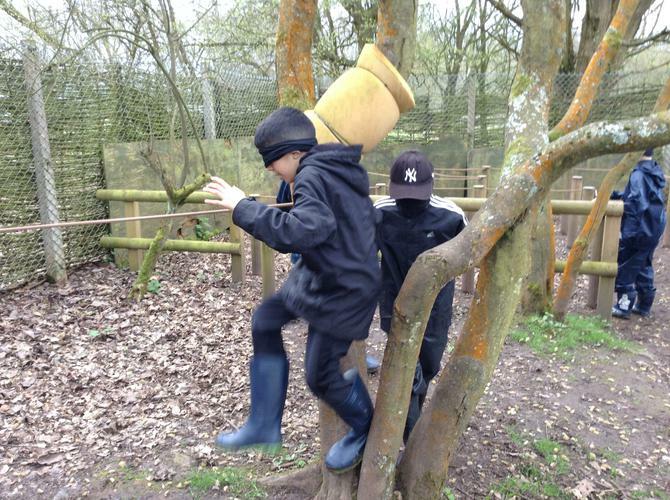 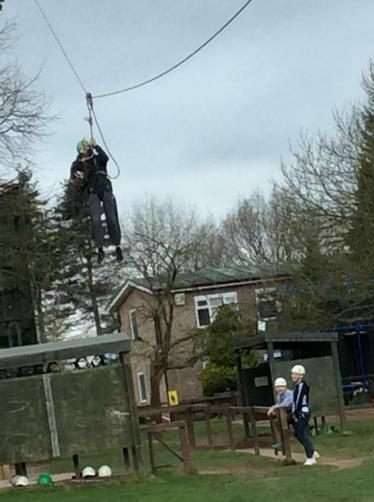 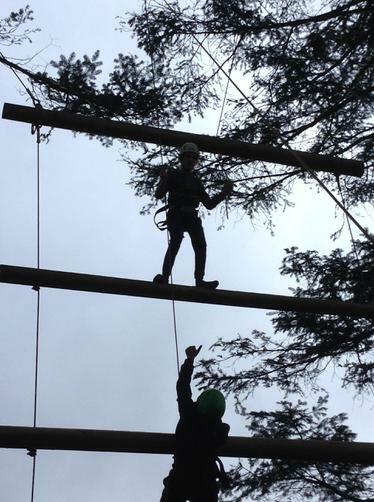 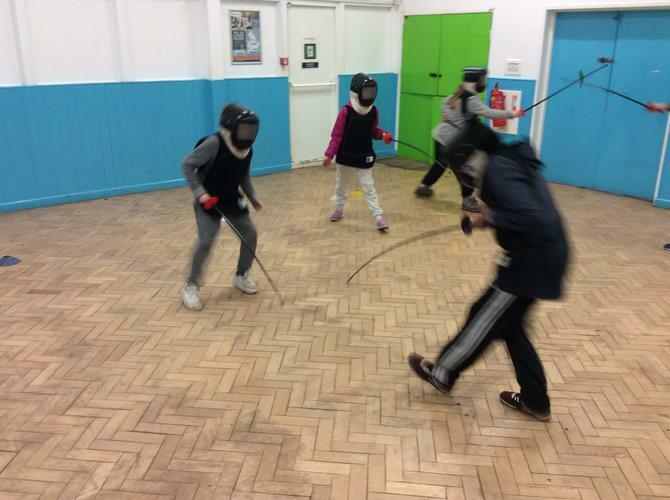 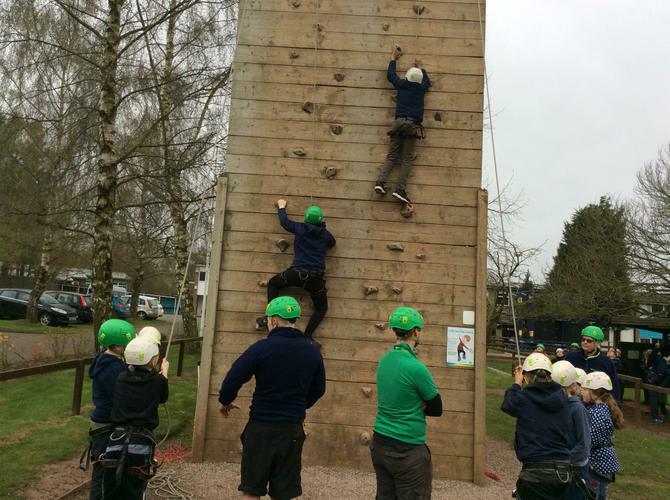 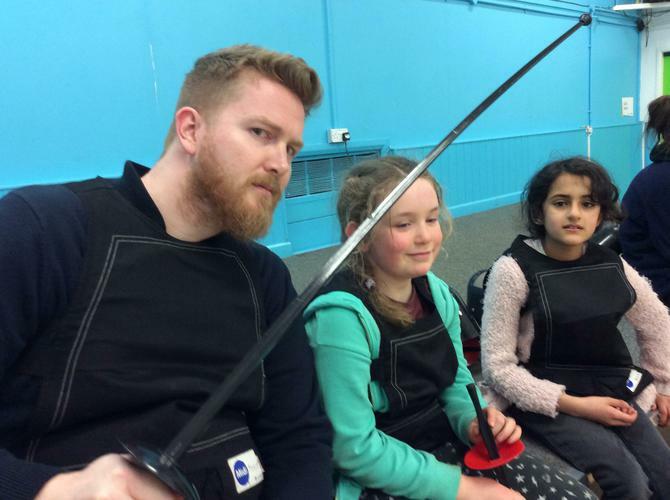 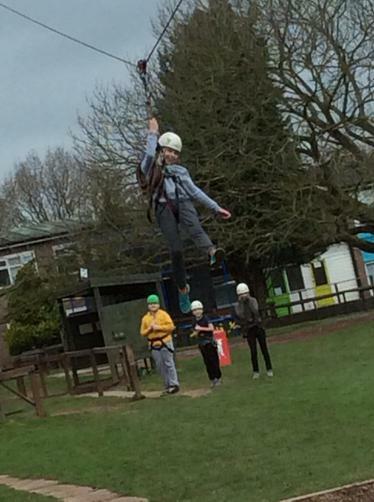 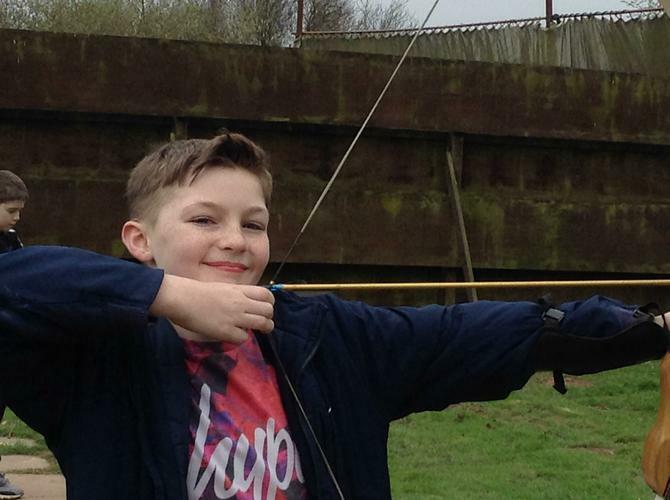 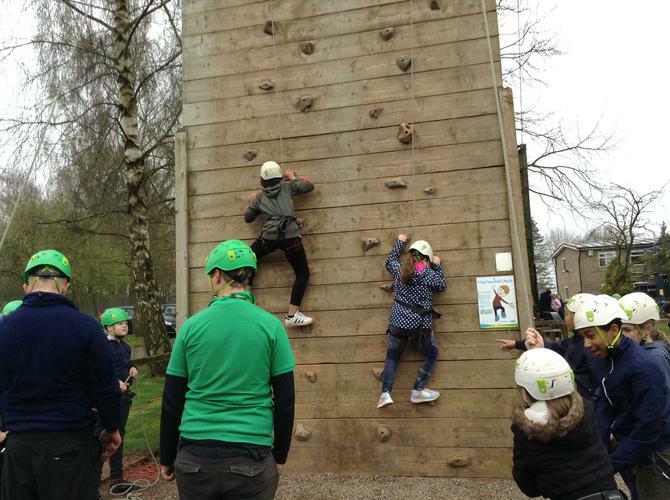 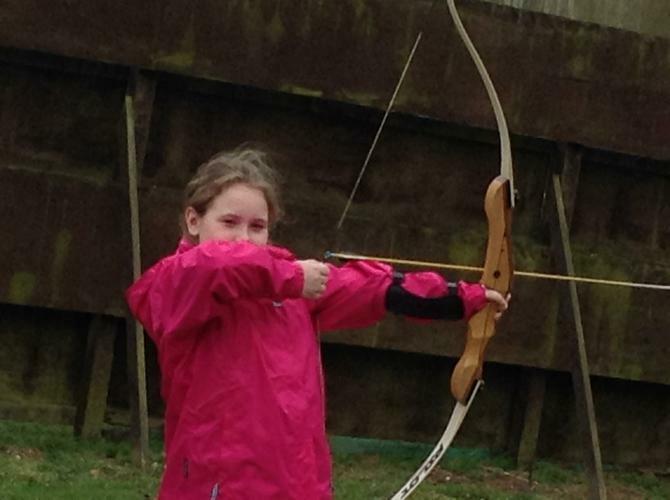 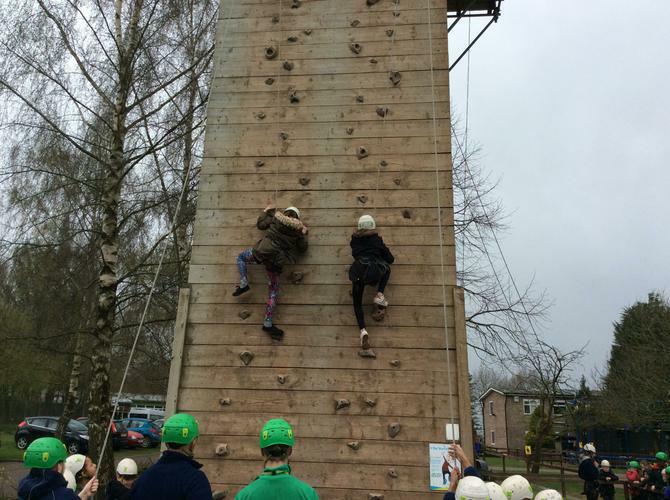 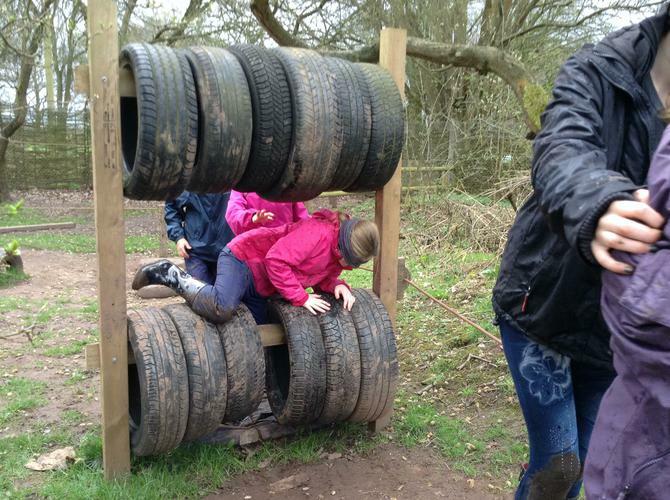 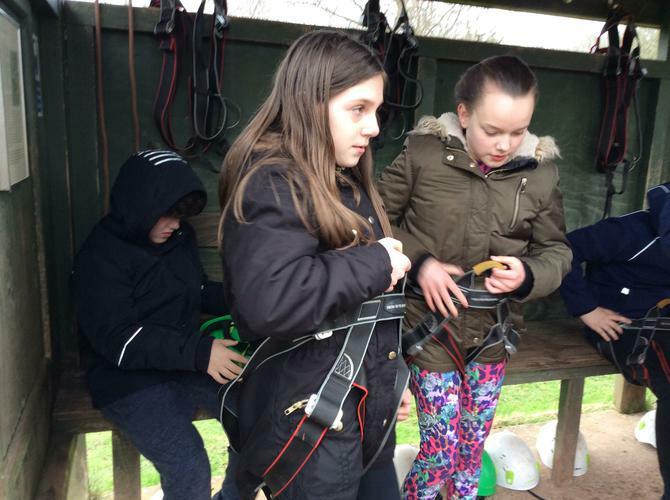 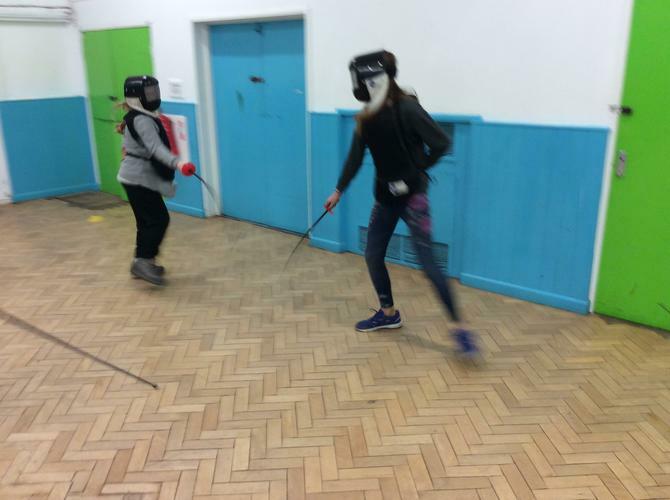 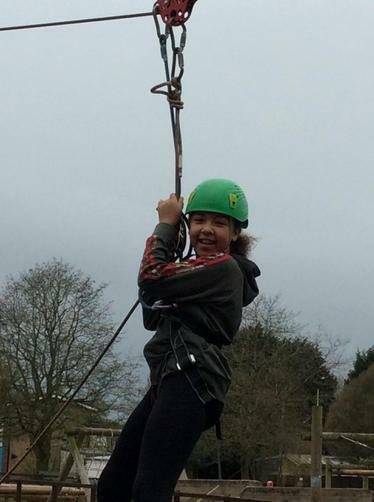 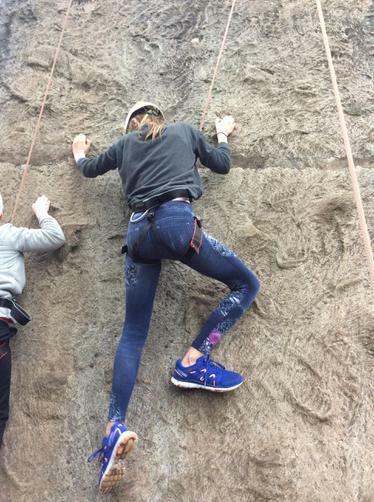 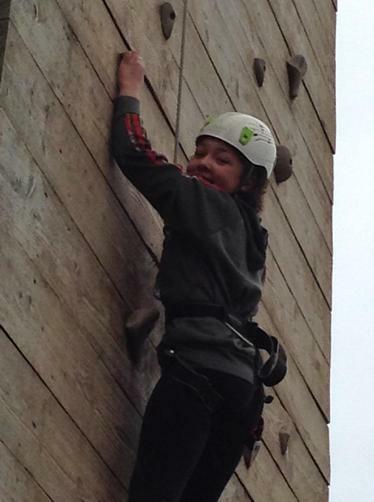 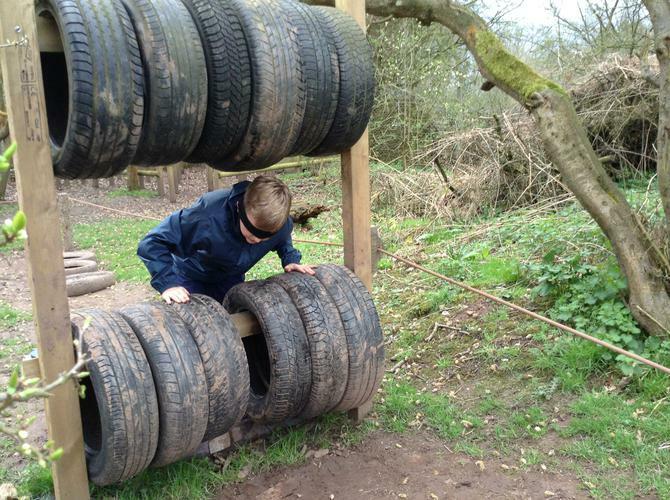 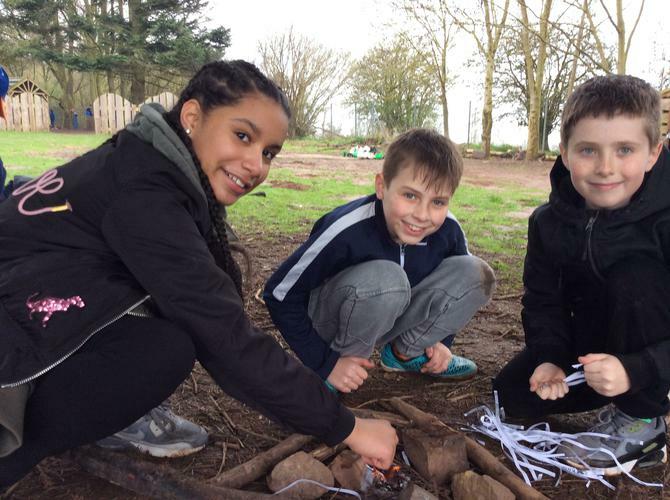 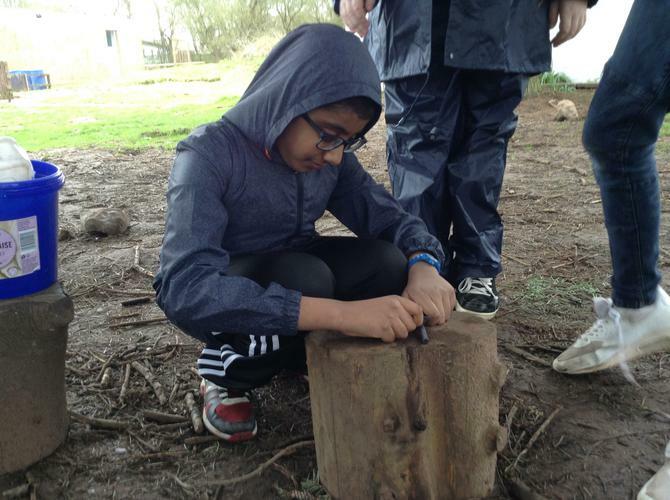 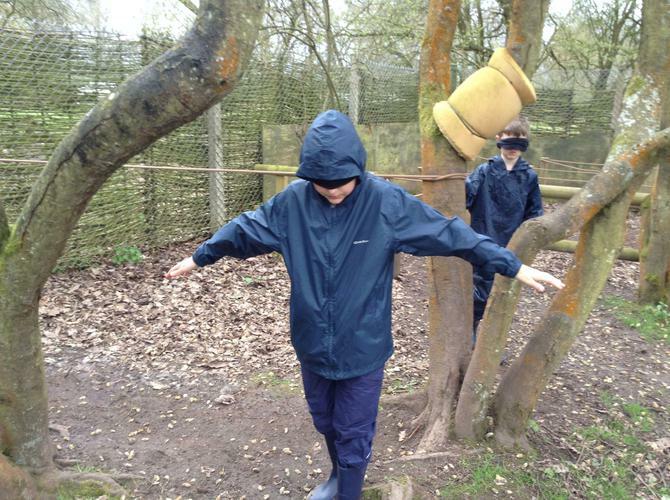 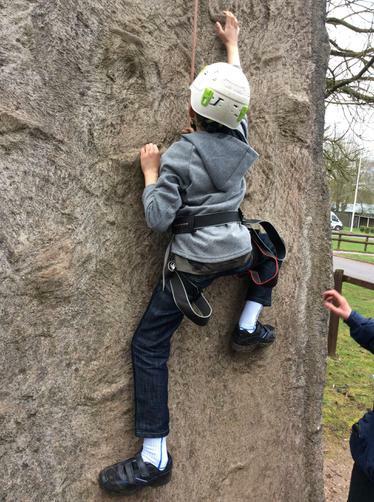 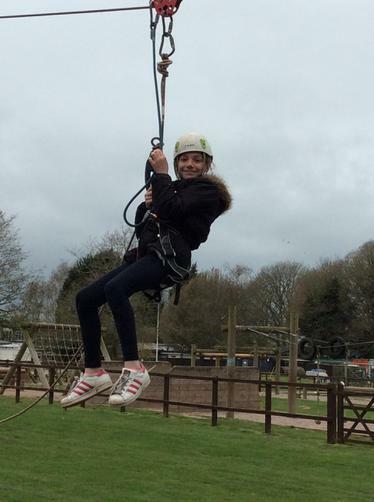 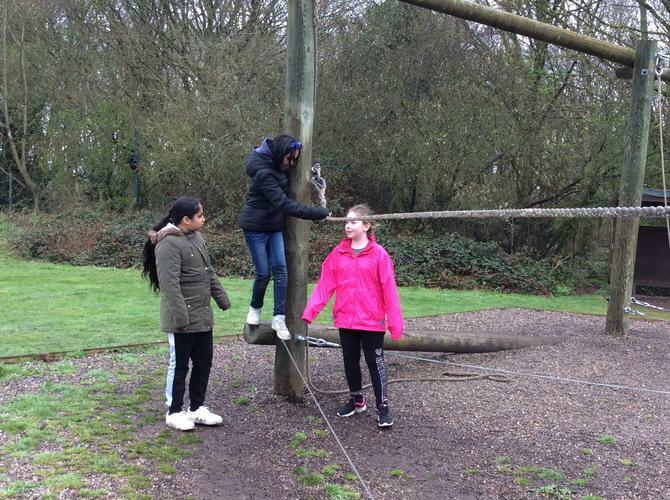 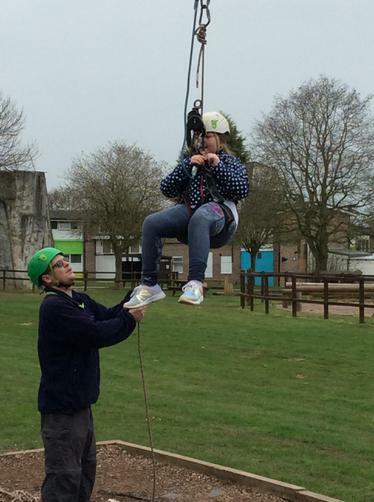 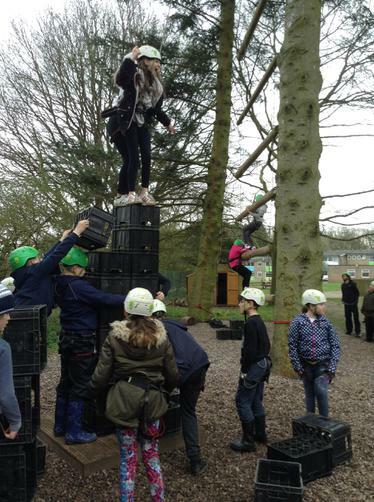 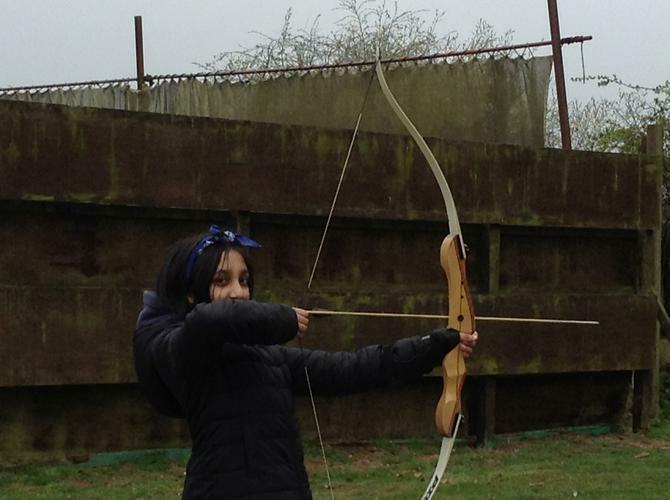 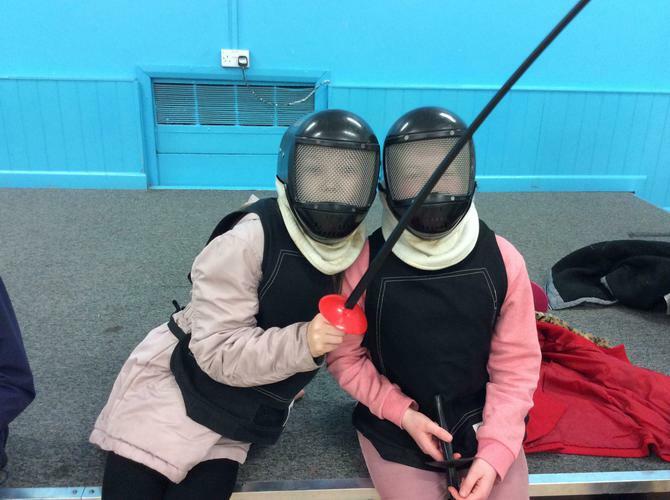 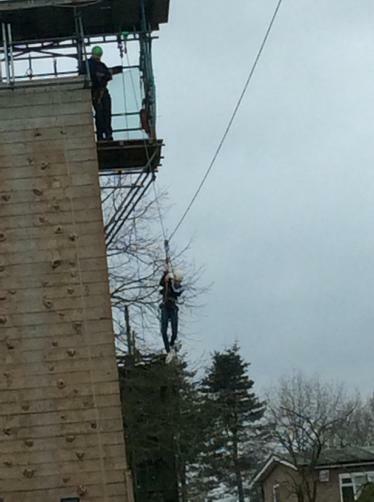 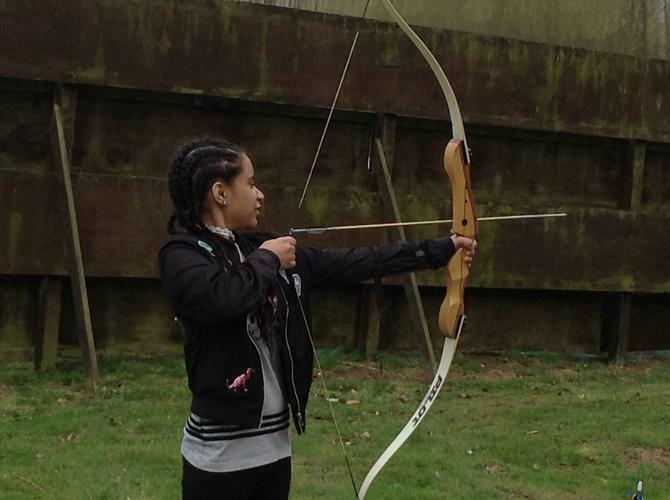 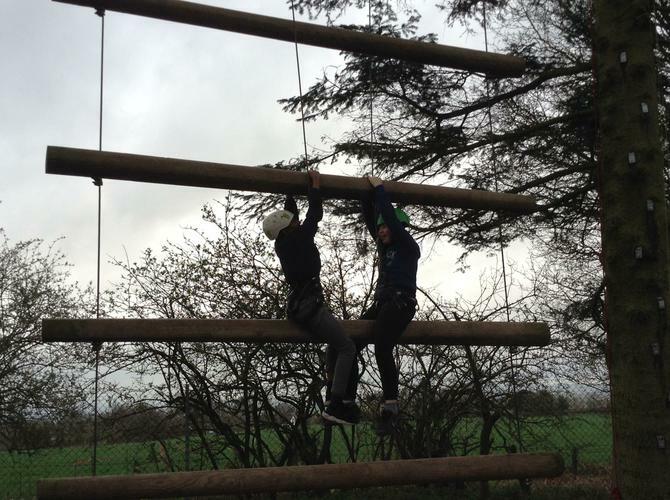 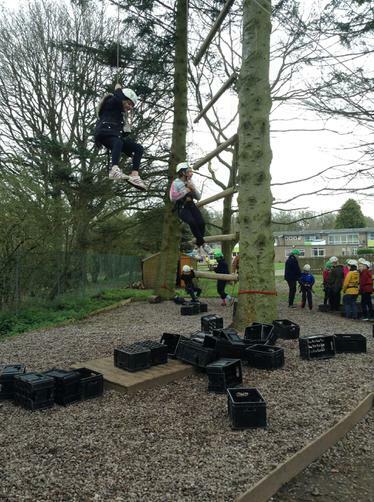 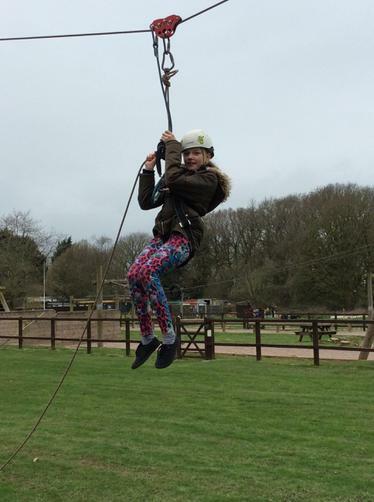 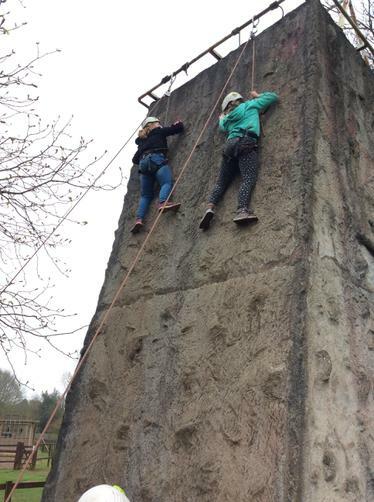 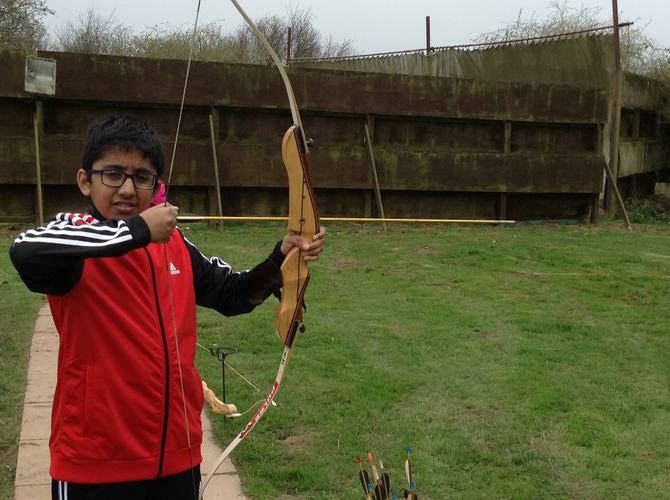 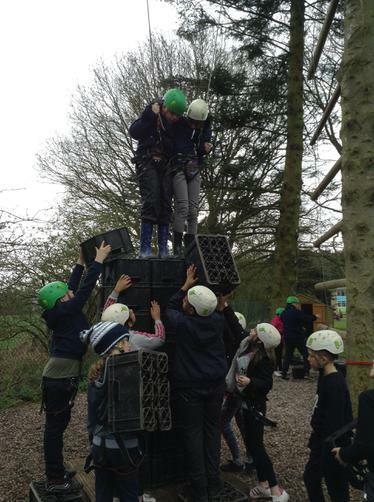 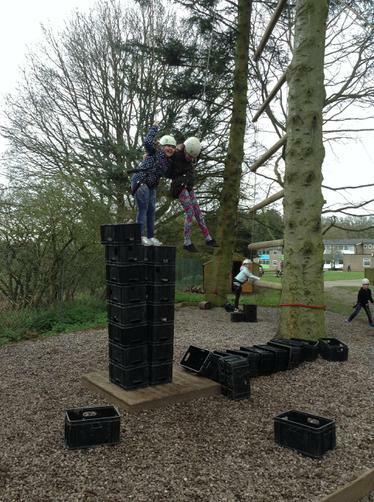 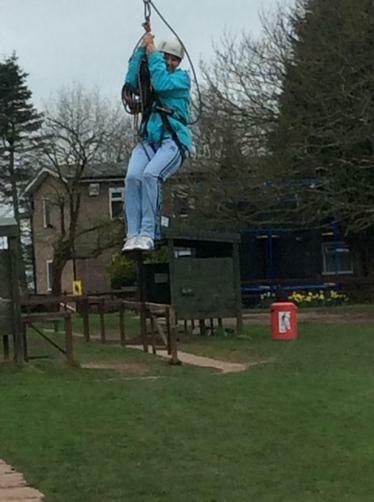 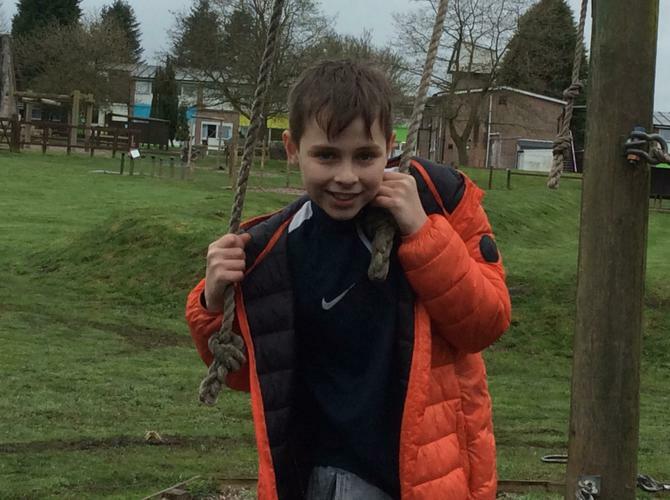 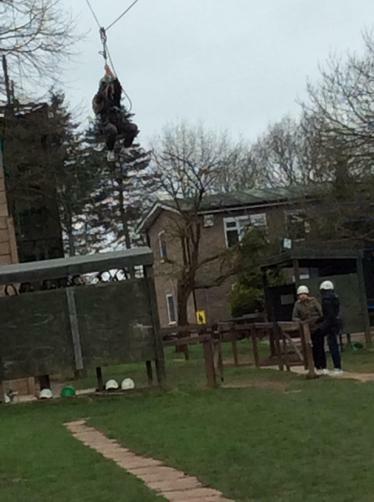 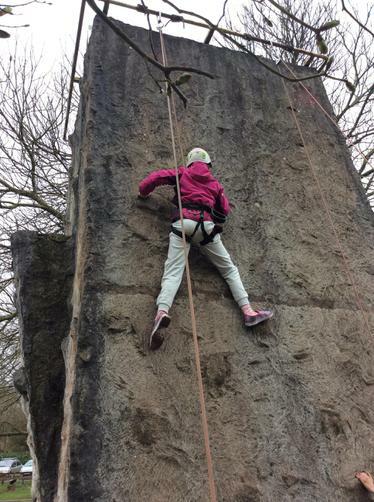 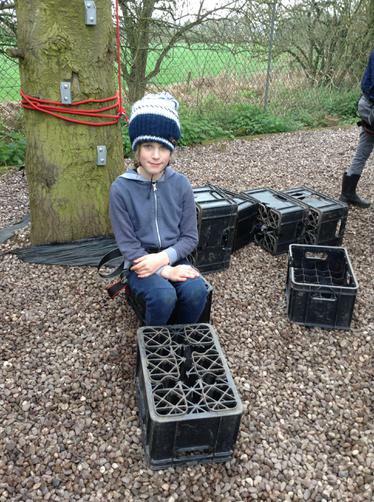 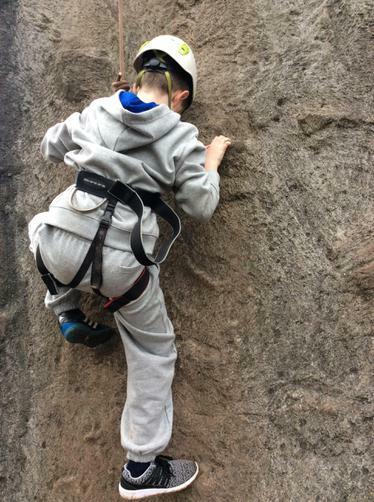 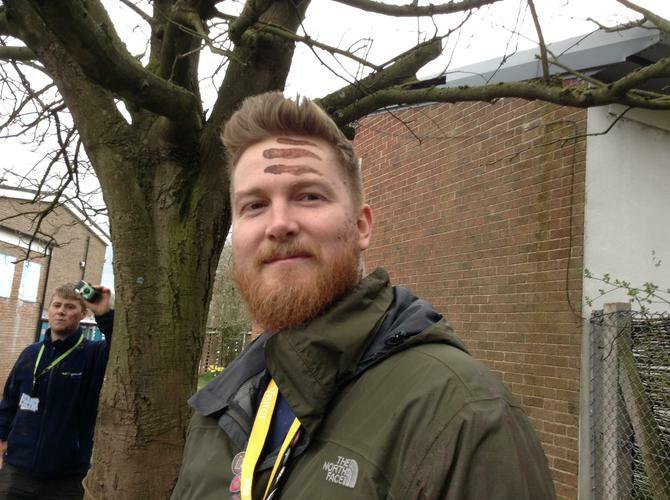 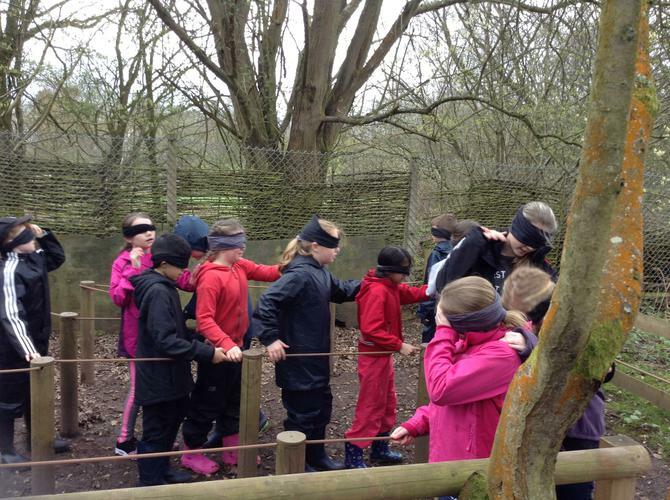 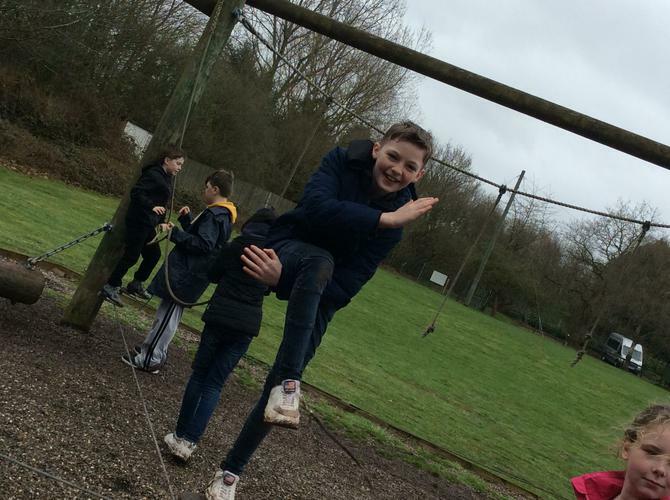 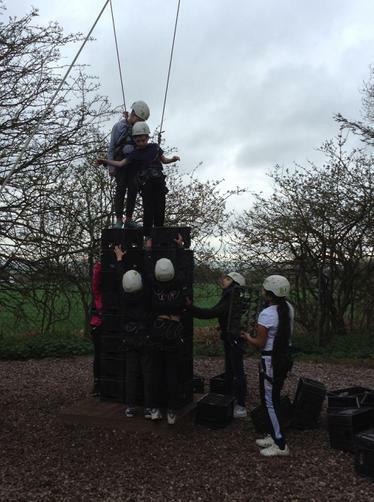 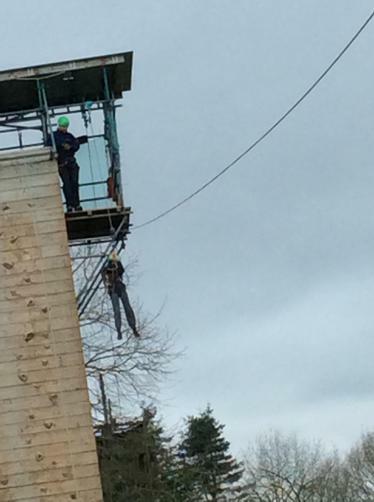 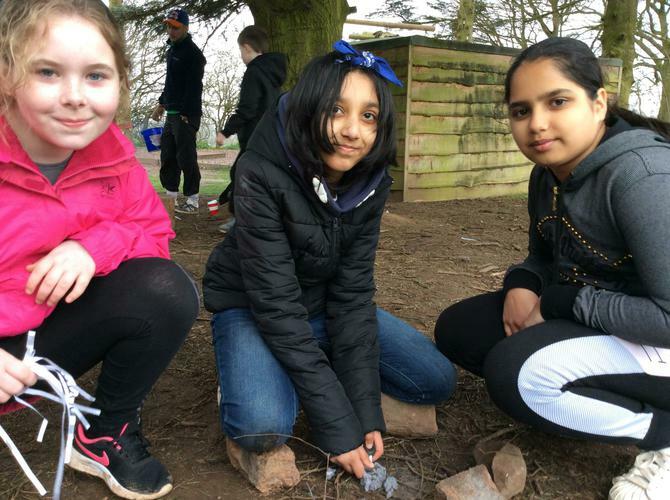 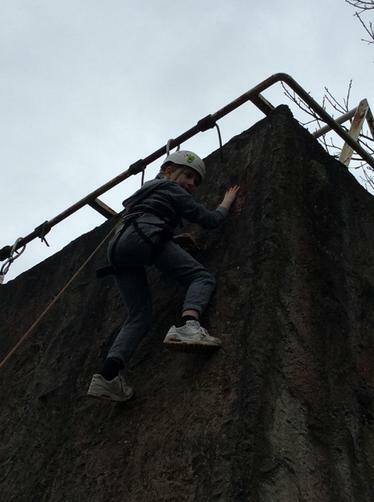 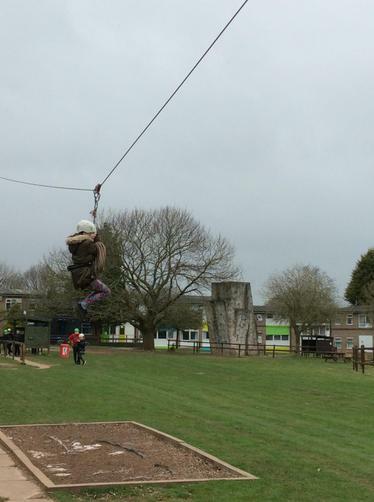 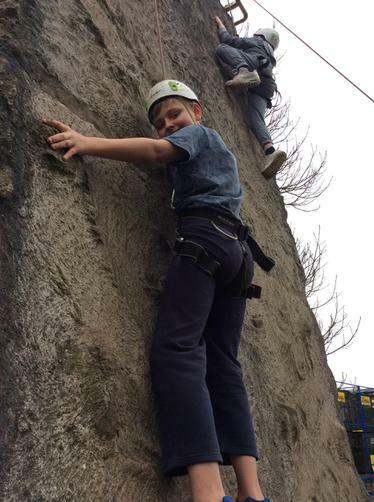 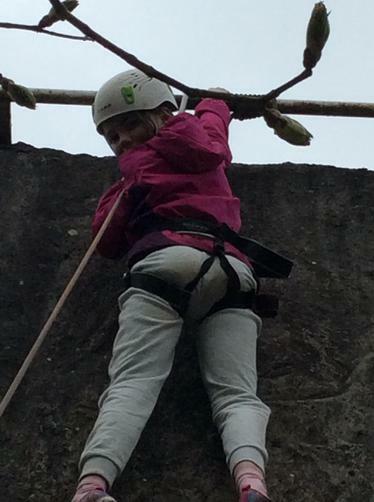 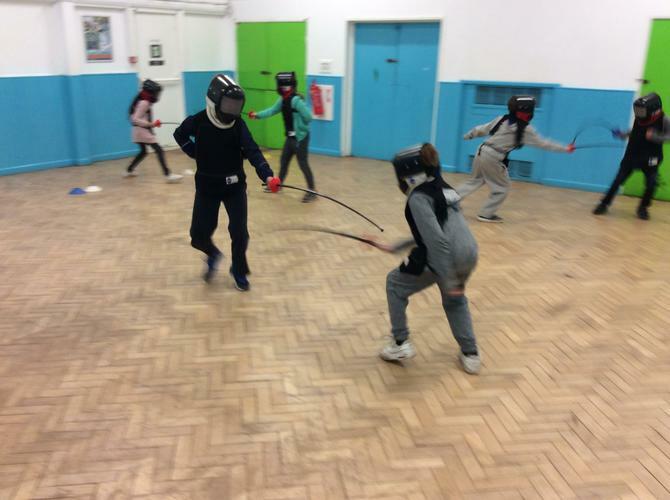 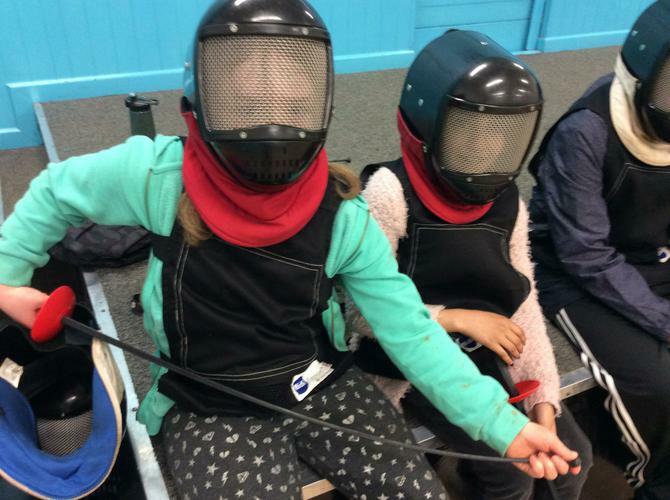 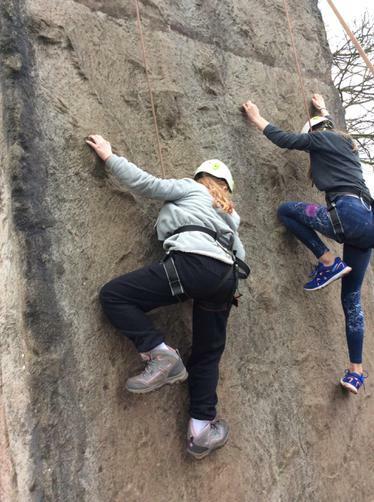 Activities ranged from fencing, climbing and caving, to zipwire, bushcraft and archery. 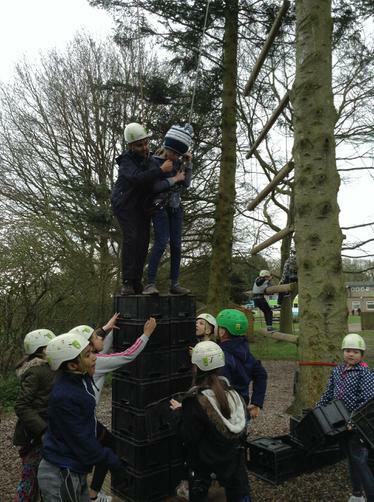 We hope you love the photos of us having fun, working as a team and showing how resilient we have become! 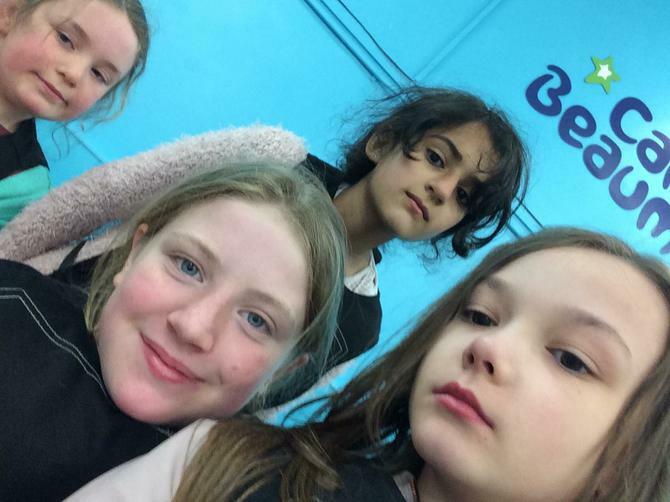 Dinner tonight was a choice of either delicious chicken/vegetable curry (with rice, naan bread and spicy potatoes), or pasta bake and salad - with cheese cake or chocolate cake for desert. 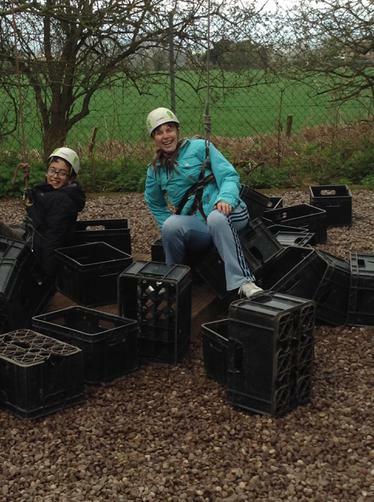 Full up, relaxed and happy with our brilliant day, we're now off to have a movie night, with hot chocolate! 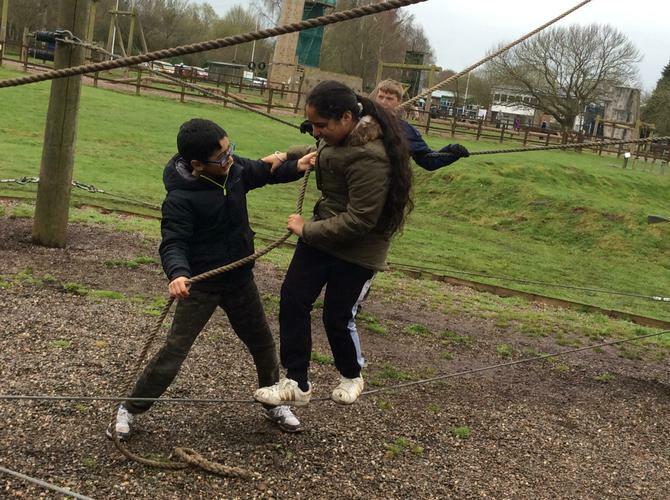 Check back tomorrow for more updates, as we have another action-packed day ahead of us!